Good news, folks: romance isn’t dead. 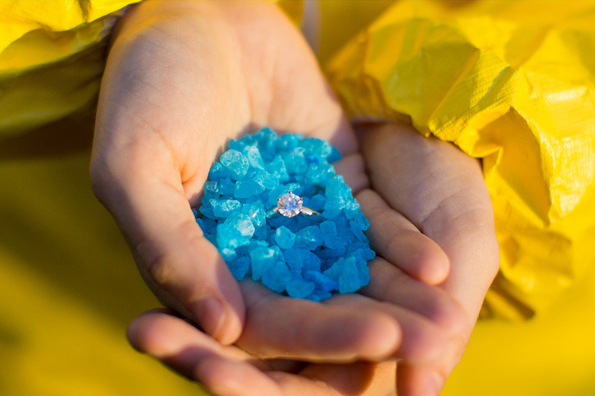 Redditor hshshshshshshs posted these Breaking Bad engagement photos. 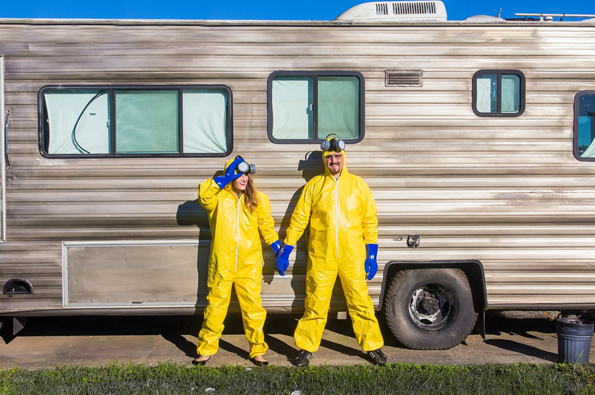 Because a couple who cooks up and deals meth together will probably not last very long. However a couple who shares the bond of enjoying a TV series together, well, at least they have something in common. “We’ll always have Breaking Bad,” I imagine they say to each other, tears in their eyes, and all kindsa weird love in their hearts that no one else will ever understand. Man, I just gave myself chills! I should write romance novels or something. These were taken by Ashley Eubanks, give her credit! That info wasn’t available at the time of publishing. Thanks for letting us know the photographer’s name, the article has been updated with that information.